If you’re looking for a long zip line for kids with seat you're in the right place. This one is 70 feet long and has great reviews. It has everything needed to attach it to 2 trees or other anchor points. It includes a steel trolley with rubber handles, seat, 10 for adjustable rope, and carabineer. 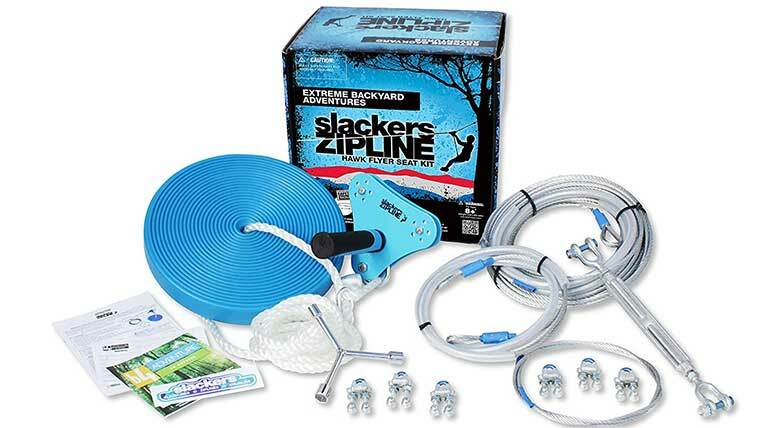 This is a perfect zip line kit for the backyard. It comes with thorough directions. Estimated set up time is 30 minutes. 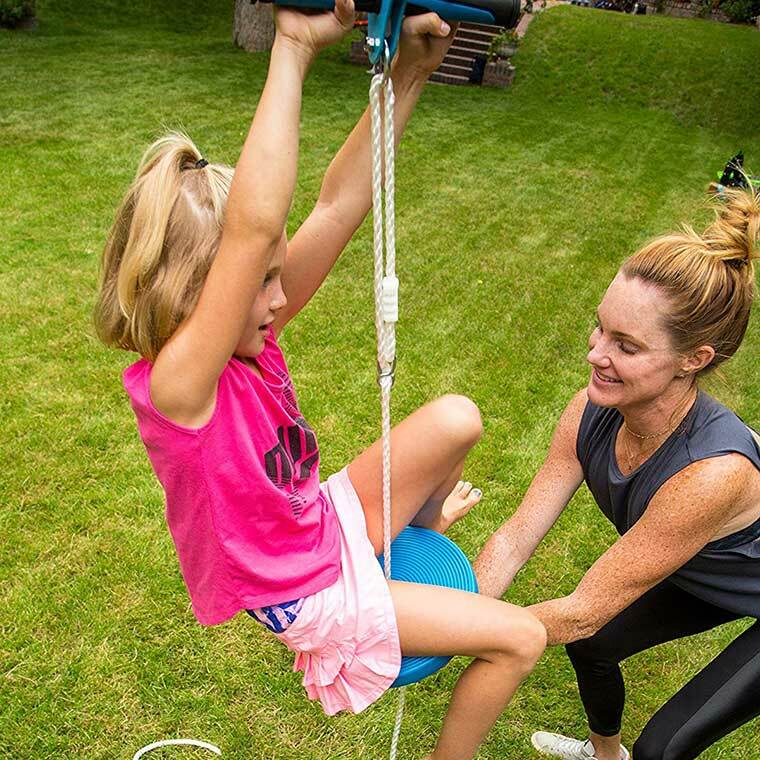 This zip line kit comes with all the gear they will need to attach it to 2 trees. The 70 foot stainless steel cable offers exceptional performance. It comes with a fully assembled steel trolley with comfortable rubber handles. The seat comes a 10 foot rope for adjusting the length and includes a carabineer for quick attaching a detaching. And one of the best features is that it has a break, so kids can control their speed.